Vangelis Legakis graduated from Laban Center (London, UK) with BA in Dance theatre and MA in Choreography and holds a Masters in Buddhist Studies from Hong Kong University. In 2018 he is starting his PhD at Melbourne University where he will be researching on Dance, Improvisation, Performance, and Chi Gong. He is dedicating his career to offer his knowledge and experience to assist in the growth and education of young artists as well as professionals. He has been visiting the Forsythe Company regularly since 2004 to research on composition, choreography and coordination and he also performed ‘Human Rights’ in 2006 with the company. He received profound education to teach, spread and develop Flying Low and Passing Through from the 50 days workshop in Costa Rica given by David Zambrano. His work is influenced by famous dance artists, William Forsythe, Julyen Hamilton, David Zambrano, Gill Clarke, Rosemary Butcher, Rosalind Crisp. He is amalgamating his experience and knowledge from diverse dance artists including energy work (Chi Gong and Yoga) so as to provide a holistic approach into dance pedagogue and performance. Legakis is a therapist internationally teaching and offering therapies. He studied at Morley Collge (London, UK) Reiki I, II, & Master’s levels, Reflexology, Neuro-skeletal Re-Alignment, Deep Tissue and Holistic Massage and he furthered his studies in Structural Energy Awakening Therapy – Thai Massage (Mike Tan), Divine Healing Therapy (Dr. Ahlmeirah Ariel Hallaire), Integrative Biodynamic CranioSacral Therapy, Thanatology (Rosemary Wallace), Abdominal Massage (Felicity Joy) and Tsi Nei Tsang (Khun Ni). He has also studied Kundalini Yoga and Chi Gong for many years with great masters including Mantak Chia, Tew Bunnag, Swami Vivekananda, Mahasattva Ananda Sarita, Marika Bolsfeldt and many others. 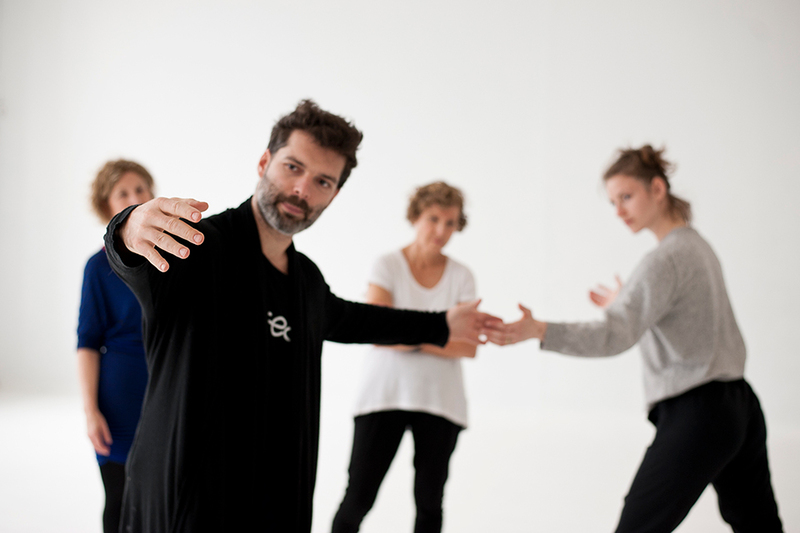 Vangelis Legakis is the founder of Embody Unity, his dance and healing practice that has taken shape over many years of research and development. It is a fusion of Flying Low, Passing Through, Contact Improvisation, Experiential Anatomy integrating Chi Gong, Meridians and breath work. ​Vangelis will teach the blend of the above practices and the philosophy of the five elements in the Taoist tradition (Wood, Fire, Earth, Metal, Water) introducing the basic meridians (Heart & Kidney) that channel energies through our body. The purpose and focus of this intensive workshop is to find an interconnected and embodied state for enhancing performance, dance technique, improvisation and choreographic processes and at the end to perform a collective piece. Vangelis will bring diagrams and models to observe and practice on the meridians and the correlation of the five elements with our inner organs. You will be able to express yourselves from the inside to find a homeostatic state in body, mind and emotions to perform a unique choreography. ​This Performance-Workshops is open to all artists who have professional experience in dance and also to the ones who don’t have, however all applicants need to have previous body work experience. Vangelis wishes to create an all inclusive festival; so do come to co-create, to perform and transform.